Considered by many organizations an international expert in organizational agility and in agile-lean project, program and portfolio management, I have presented in-house as well as public keynotes, conferences, animations and speeches in North and South America, Southeast Asia, North Africa and Europe. I have been called passionate, original, provocative and inspiring, leaving no one indifferent. From the multi-speaker symposium to the in-house lunch and learn, I am confident that I can provide a program that is highly enjoyable, positive, inspiring, engaging, empowering and mobilizing for your audience — in English or French. Change in general and the need to embrace it. Our turbulent times and how continuous change impacts the world at large, businesses, people and our personal lives. Projects, programs, project portfolios: their management, their successes and failures, best practices, structures (PMOs and others), fads, current trends and challenges. Human aspects of project management and work at large: motivation, mobilization, influencing others, leadership, communication, managing perceptions and expectations, generation gaps, multigenerational and multicultural issues, distributed/virtual teams. 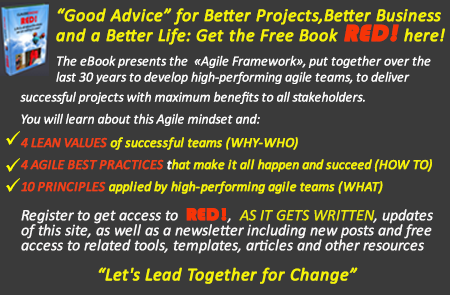 Agile and Lean: mindsets, values, beliefs, management, best practices, trends. Employee engagement, servant leadership, collaborative cultures, organizational agility, high performance and benefits realization: what they are and how they are interconnected. Distributed leadership, co-leadership and leading together: challenges and benefits. As you can see, many of my speaking engagements address professional best practices. Lately, however, audiences of all types seem to show an increased interest for the larger issues of human behaviors, human aspects of work, quality of life, global sustainability and where the world is going. And the demand for those types of subjects will continue to rise, as the boundaries between the workplace, our personal lives and the rest of the world disappear, thanks to Social Media. For example, I was invited to join three other speakers for the annual one-day get-together of the members of an important civil servant union and the theme of the day was: Our Fears – From Roadblock to Springboard. I built a keynote that used my project risk management approach as a fear management process and I presented: How to Manage my Fears in 12 Questions. 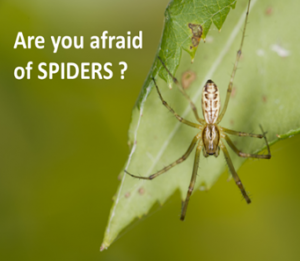 Participants are probably still afraid of something, but they can manage (LOL). Am I a match for your needs? I have years of direct professional work experience related to doing, consulting, coaching, training, learning, travelling, succeeding, laughing and loving as well as avoiding, ducking, failing, hiding, postponing, re-doing, resetting, crying, abandoning. Challenge me with a bold request! I believe in the power and universality of agile, co-creative and collaborative project management. I believe it can be used by anybody in all circumstances where change is involved. I believe we can be the change together. Read more on ClaudeEmond.com. I believe I can offer something inspiring, empowering, positive and useful to any audience by sharing my life experiences and using elements of my Agile Mindset. Do you want a speaker who can talk about what matters to you? Are you are convinced that I can provoke, inspire, energize and empower your audience? Contact me and we will design a speaking event that will start and feed important conversations. We can meet face to face if I am close by. If I am not, we can meet by telephone, by skype or by video conferencing to discuss your speaking events, their purpose in supporting your current objectives, location, dates, timing, pricing and other conditions.